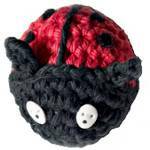 Christen is also the author of Creepy Cute Crochet. 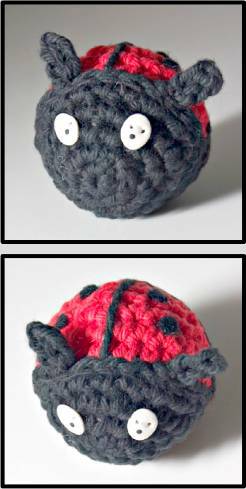 This pattern to make a stuffed ladybug toy is rated as easy by the author. 11. ch. 1, (sc 1 in 2) around, sl st to close round. Stitch closed. Fasten off. ch 4, st st across. Fasten off.